2017 has been a busy year for PA Communications Ltd. It began with settling into new premises in Leighton Buzzard in January, in which we have a workshop optimised for carrying out audio electronic repairs and servicing as well as a cozy office for management! The first half of the year was mostly dedicated to development for the DATIS unit for Thales ATM. This involved PCB design and prototyping and lot of commercial documentation in order to create an early working revision of the new DATIS unit. In April, a serious change to the company was carried out. Rob and Steve had previously worked quite closely with Mike Crofts of Mike Crofts Audio Technical Services and as a natural progression in this work, PA Communications bought a considerable amount of stock from MCATS. This was decided upon due to the desire to expand the company into more musical and audio related avenues, as all staff at PA Communications are musicians with an interest in live sound engineering. Following this, Rob went on tour with Albert Lee as a technical engineer in May for month! His responsibilities included helping set up the band in each venue, live sound engineering and driving the van. In order to fully start up the audio engineering and hire section of the company, new staff was required as work on the DATIS was still in full swing. In July, Mary Browning joined in the role of Technical Audio Manager after graduating from Birmingham City University with first class honours in Sound Engineering and Production. She was brought on to manage the new audio engineering endeavour and she handles and works on all audio engineering and audio hire enquiries. Despite having only just established the audio engineering side of the company, we’ve had a very busy summer! We have worked on a number of events for Bicester Town Council including the Bicester Carnival, the Robbie Williams Tribute, The Ramps and the 80’s Rewind at Garth Park. We worked with Yamaha UK to provide sound for Amy Lives, Amy Winehouse’s band, at a corporate event. We also provided the audio equipment for Andy Fairweather Low’s gig at the Court Theatre at Pendley in Tring. 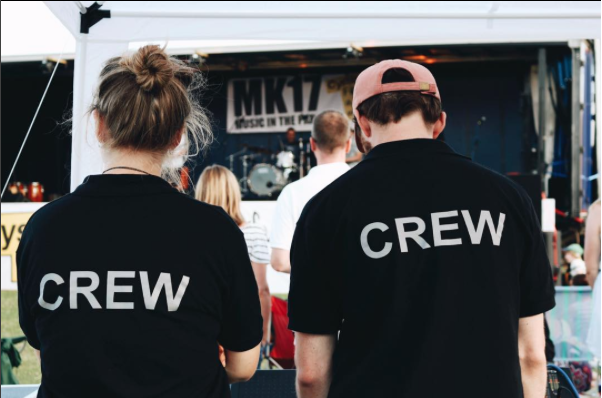 In addition to this, we have provided the sound for several local festivals such as MK17 in Newton Longville and Stewkley’s Summer BBQ. A big thank you goes out to all of the organisers, bands and venues for their support and business. Our attention now turns to completing the new DATIS development for Thales ATM (check out the DATIS page for more info) before Rob goes on tour with Albert Lee in October!